Are you a Pumpkin carving King or Queen? Do you just love carving pumpkins? Want to show off your skills? Then take a “stab” at the Philly Pumpkin Pageant brought to you by Ghost Tours of Philadelphia. Submit photos of your carved, painted or decorated pumpkins for a chance to win, 2 tickets, to any scheduled Ghost Tour of Philadelphia! Carve or paint a festive, frightening jack-o-lantern. 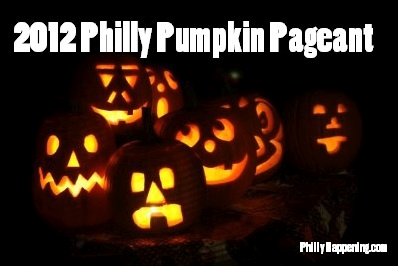 Then e-mail a photo of the fabulous pumpkin to centercity@phillyhappening.com or upload here. Last day to submit is October 30th. Include your name, the name of your jack-o-lantern, your phone number, and email address. Philly Happening will post the photos as they come in and readers will have the chance to vote for their favorites. The pumpkin with the most votes, by 10pm on October 30th, will win 2 free passes to Ghost Tours of Philadelphia and a special secret prize! The runner-up will also win 2 free passes to Ghost Tours of Philadelphia. Tavro Thirteen, the new restaurant by acclaimed Chef Terence Feury, is open today, Monday, October 22nd! Considered one of the East Coast’s culinary pioneers, Feury has spent the past decade cooking. From the Michelin starred Le Bernardin in New York to Farenheit in DC and then on to Philadelphia to work at the Ritz Carlton Hotel. He helmed the kitchens at Striped Bass, and Fork, and was rightfully named “one of the region’s finest chefs” by Philadelphia Inquirer restaurant critic Craig Laban. 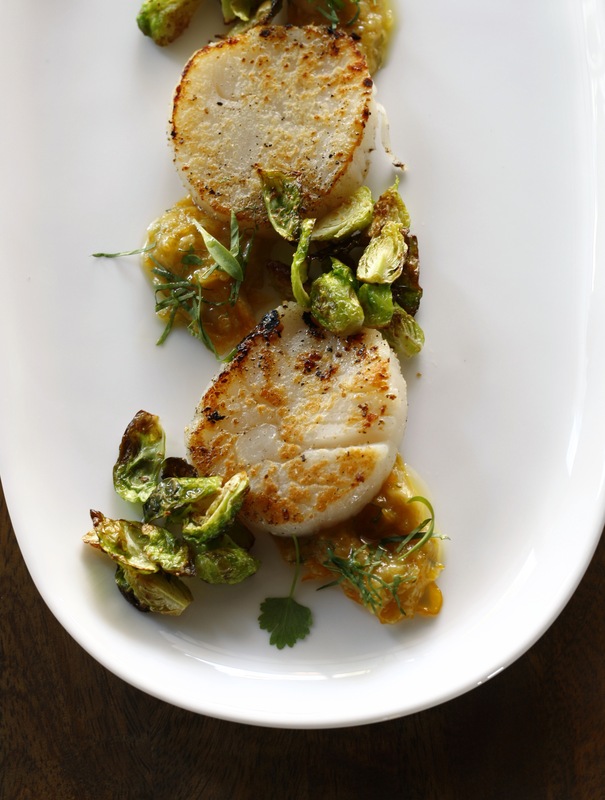 Of course, being one of the most acclaimed seafood chefs in the country, the menu at Tavro Thirteen showcases Chef Feury’s deft hand with all that is aquatic. Chef Feury is also thrilled to showcase the incredible farms and produce of the area, making a menu that proves that there is more to New Jersey beyond the sea. The front of the house is in equally good hands with the addition of Anna Schneider as General Manager. With its blend of big city finesse and neighborhood familiarity, Tavro Thirteen is positioned to become the centerpiece for fine dining in South Jersey. Whether stopping in for a drink with friends, enjoying live music in the lounge, having a romantic dinner, or hosting your next big party, Tavro Thirteen is dedicated to providing an incredible dining experience. If you want to Tavro Thirteen is located at 1301 Kings Highway. The restaurant is open daily for dinner from 5 to 10:30 p.m. on weekdays and till 11:30 on weekends. Lunch will start in a few weeks and will be available daily from 11:30 a.m. to 2:30 p.m.For reservations call 856.467.8413, log onto http://tavro13.com. Whether you’re an ardent movie enthusiast or a just a casual filmgoer, the 2012 Philadelphia Film Festival offers a great cinematic experience for everyone. Now in its 21st season, the festival celebrates independent filmmaking from directors across the world. Festivities kick off on October 18th with an opening night screening of “Silver Linings Playbook.” This drama/comedy is directed by David O. Russell (The Fighter, Three Kings), and stars Philadelphia’s own talented heartthrob, Bradley Cooper. In addition to the hottest new films, the festival also features several oldies but goodies as part of its “From The Vaults” program. “Signs,” the 2002 sci-fi blockbuster set in Bucks County, PA and starring Mel Gibson, will show at The Prince Music Theater on Friday, October 26. Don’t miss out on this special screening where the film’s highly acclaimed director, M. Night Shyamalan, will be in attendance! Also featured this season are horror classics such as “Poltergeist” (1982) and “The Shining” (1980), just in time for Halloween. The festival’s “Greater Filmadelphia” series features the work from some of Philadelphia’s finest filmmakers. This diverse program showcases documentaries, such as “The Missing Piece: The Truth About the Man Who Stole the Mona Lisa,” as well as feature length films including “Detonator,” a gritty crime drama shot completely on location in Philly. To learn more about the 2012 season of the Philadelphia Film Festival, click here to visit the PFF homepage. The whole town is talking about Night Kitchen Bakery’s Presidential Straw Poll. The bakery is making blue shortbread cookies for Obama, and red ones for Romney! If you missed the news on Zagat or Foobooz be sure to look out for the story in the Philadelphia Business Journal next week. Even though Mitt Romney seems to be gaining in the polls, Obama is winning by a landside in Chestnut Hill. 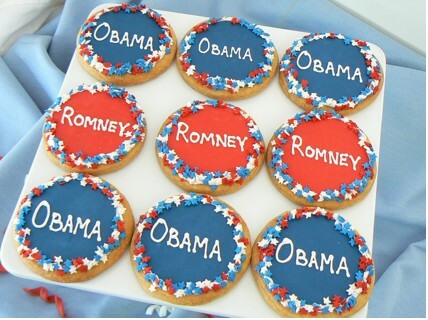 Last week’s tallies following the debate had Romney at 124 cookies sold compared to Obama’s 807. We look forward to seeing how these upcoming Presidential debates effect the sales. Stay tuned to www.nightkitchenbakery.com for up-to-date results. Amy Edelman and her staff of professional pastry artisans are creating delectable edibles daily at the bakery, located at 7725 Germantown Avenue. If you happen to be hosting an election watch party, call Night Kitchen Bakery at 215) 248-9235. Martin Luther King, Jr. once said that, “everything that is done in the world is done by hope.” For those who are living with HIV/ AIDS, hope is what keeps them going. Help keep their hope alive by participating in the AIDS Walk / Run Philly! The event will be a 12K walk and a 5K run. There is a registration fee of $50, but participants are encouraged to reach out to sponsors and raise more money for our friends, family, and neighbors. You can register as an individual or form a team of five or more walkers, runners, or volunteers. Every nine and a half minutes, someone in the United States is infected with HIV. In the Delaware Valley alone, over 30,000 people are living with HIV/ AIDS. Philadelphia’s infection rate is five times more than the national average. Your participation in the walk on October 21st will help raise awareness and provide funding for health care services and other life-saving programs! The Philadelphia Aids Walk is also looking for volunteers to help make this event successful, and is always accepting donations! For more information on this event or to register to participate check out: aidswalkphilly.org or aidsrunphilly.org. You can also tweet about this event by hash-tagging #whyiwalk. Spooky Treats at Night Kitchen Bakery! Looking for a spine-chillingly good Halloween treat? 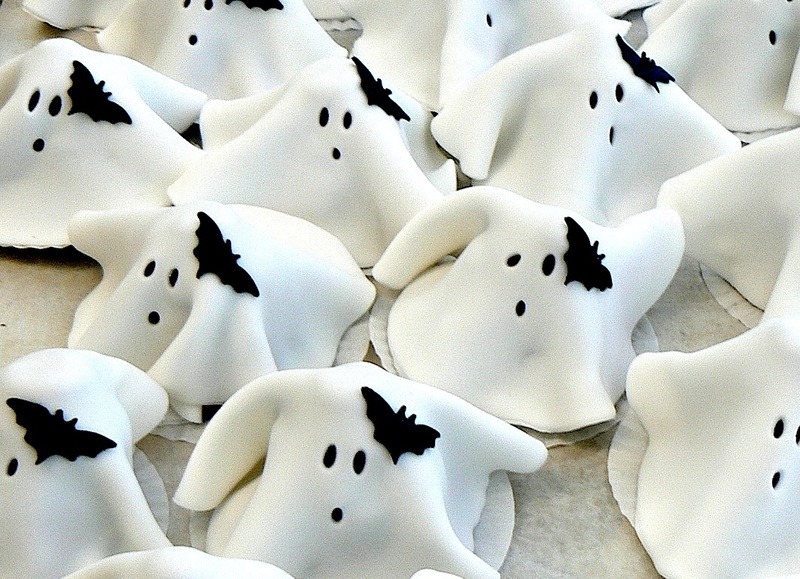 Check out Night Kitchen Bakery’s spooky ghost cupcakes! These mocha chocolate cupcakes are draped in a “sheet” of white fondant and decorated with tiny bats for their signature! They are going for $4.50 a piece! The bakery is also making sugared shortbread cookies in the shapes of ghastly ghosts, plump pumpkins, and black bats! For a bit-less scare, with the same hair-raising tastes try out the pumpkin pound cake decorated with tiny fondant pumpkins for $3.50 per treat! As always these delicious treats will be made with 100% butter, unbleached flour, and the best imported chocolates and jams! Indulge your trick-or-treaters with a delicious artisan treat from Night Kitchen Bakery! Proprietor Amy Edelman and her staff of professional pastry artisans are creating delectable edibles daily at the bakery, located at 7725 Germantown Avenue. For more information, visit www.NightKitchenBakery.com. The treats will be available in the store, but for larger orders call two to three days in advance to order (215) 248-9235. 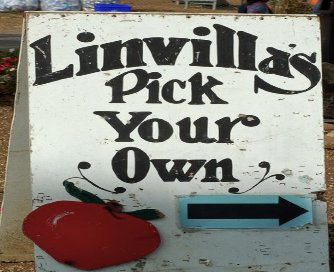 The arrival of autumn means the arrival of apple picking season at Linvilla Orchards! Apple picking is a healthy, delicious, and fun activity for friends and families of all ages. However, before you begin your apple-picking adventure, it’s helpful to learn about the unique varieties of apples you will find in the Linvilla fields. If you’re searching for an apple that’s big enough to split between you and a friend, go for a Mutsu apple. The sharp, honey flavored taste of this apple makes it ideal for cooking or making fresh apple juice. The Macoun apple, which originated in New York during the 1920s, has a sweet aroma and tender flesh that pairs well with cheese or as a topping on salads. The Jonagold apple has a distinct acidity that makes its flavor succulently tart yet lusciously sweet. The Northern Spy apple, with its red and green exterior, is as unique on the outside as it is delicious on the inside. This apple is among the most popular varieties and is often the key ingredient to baking scrumptious apple pies. Although not as traditionally tasty or sweet as the northern spy apple, the Idared apple, which originates from Idaho, has an impressive storage live potential of six months. If your mouth is watering and your interest is piqued, visit the Linvilla Orchards website to learn more about their apple picking tours. 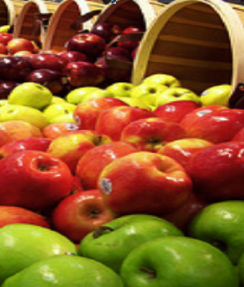 For a comprehensive guide of all the apple varieties, click here. The Philadelphia Zoo’s Boo at the Zoo is returning for two spooky weekends this Halloween! Put on your costume and join the creepy, crawly celebration! Visit the Sustainable Palm Zone during Boo at the Zoo to find out why Halloween is an orangutan’s favorite holiday at the Zoo! Enjoy treats and sweets while playing your favorite Halloween gory games, listening to live murderous music and taking a wicked walk through the Philadelphia Zoo’s Extinction Graveyard to learn about the extinction of species around the world. While the graveyard won’t give you the chills, your hair may rise if you learn that some of your favorite creatures could be extinct in the wild in as little as 15 years! There will be a lot of fearful fun activities running during Boo at the Zoo that you should be sure to check out! The Little People® Live! Animal Show runs at two different times on the Fisher Price Little People Stage starts at 10:30 a.m. and at 1:30 p.m. Spooky stories in PECO Primate Reserve every half hour from 11:00 a.m. to 3:00 p.m. But make sure to take part in or see the Boo at the Zoo Costume Parade starting at Bird Lake Plaza at 12:00 p.m.
For more information visit the Philadelphia Zoo’s website. In 1492, Columbus sailed the ocean blue! He made four transatlantic journeys departing from Spain, attempting to find a new trade route to Asia, across a harsh and unforgiving sea. 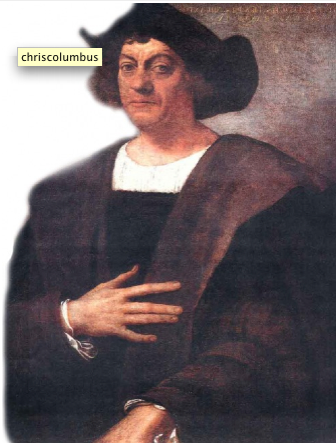 Christopher Columbus landed in the Bahamas and traded gold for his homeland. He was a brave and bright man, as the old rhyme goes, which is why we celebrate him every year! On Sunday, October 7th, the mummers will march, during The Philadelphia Columbus Day Parade! Gather along the South Broad Parade route. Kickoff is scheduled for 12:15pm. Just keep in mind that navigating South Philly might be a little difficult. Police advise that streets will be closed 11am- 4pm. 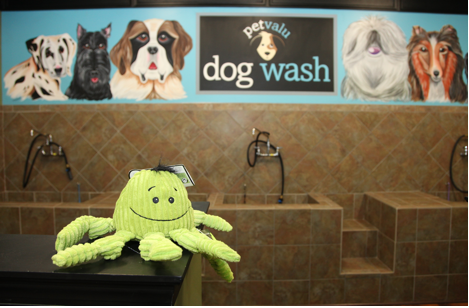 More Pet Valu to Wag Your Tails About! On Saturday, October 6th, Pet Valu is opening a new store in Leonardtown, Maryland and tails are eagerly wagging with exuberance! The celebration begins at 9 a.m. And pet parents are encouraged to bring along their animals, leashed of course, for refreshments, raffle prices, and discounts on store items. The first 100 customers to make a purchase will receive a complimentary gift bag, so get your tails there early! Animal rescue groups will be at the store with dogs and cats in need forever homes, and maybe you’ll think about adopting a new addition to your family. Pet Valu is a specialty retailer that sells high quality pet supplies at reasonable prices. With more than 400 stores in the U.S. and Canada, the company sells premium pet foods, toys, and accessories. The stores are known for their personable service. All employees are animal lovers and they take a personal interest in every customer they serve. For more information, check out their website.